Common Core State Standards: Strategies for Success! Update your school’s current curriculum and classroom assessments to meet the content and measurement requirements of the Common Core State Standards. Learn strategies for improving learning and succeeding with the Common Core State Standards. Audit current curriculum and revise classroom assessments to meet measurement criteria of the Common Core State Standards. We test, test, test, but testing alone does nothing except to sort schools and students into categories. 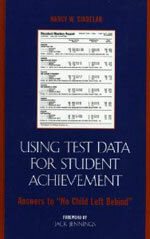 In this workshop teachers examine ways to use their school’s test data to improve curriculum, inform instruction, close the achievement gap and motivate students with the results of their learning. Teachers and administrators will review their school’s (district’s ) test scores to identify strengths and weaknesses in student learning. Based on their school's test scores, participants will develop strategies to strengthen their curriculum and improve learning. Based on their school's test scores, participants will identify achievement gaps and develop strategies to close these gaps. Participants will consider the complementary roles of summative and formative assessments and learn how formative assessments can inform instruction and improve learning. 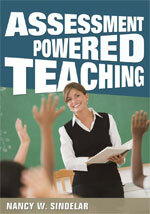 Participants will develop strategies to motivate students with the results of their own learning. In this one day session participants will learn how common assessments are key to bringing equity to learning, necessary for gathering useful data to enhance the learning of all students, and vital for disaggregating subgroup data to close the achievement gap. The information presented is based on current research and professional practice. What common assessments are and why they are important in informing teaching practices and monitoring student learning to raise student achievement. How to build common formative assessments based on existing (common) curriculum. 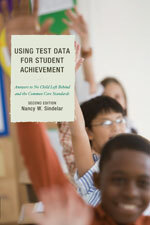 How to gather and use data from common assessments to enhance teaching and learning. The role of team meetings in developing and using common assessment data. As each of these four topics is covered, team time will be built into the workshop to allow teacher teams to discuss the information presented, formulate questions about the common assessment process and consider next steps necessary to implement common assessments in their school. Balanced Assessments: What, Why, How? With the increased interest in accountability and meeting the demands of No Child Left Behind, teachers are spending increasing amounts of time preparing students for tests and then testing them. Most people who currently work in public schools have not been trained in assessment or prepared by their professional education programs or their prior experience to understand, use and measure their success as educators by the metric of students’ test scores. This workshop is designed to explain the “nuts and bolts” of testing so that teachers can view testing as a source of information and power rather than just a drain on instructional time. The different types of assessments and their purposes. Why assessments are an important tool in increasing student achievement. How assessments can be used to improve teaching and learning. Strategies to help parents understand and embrace testing. Mentorship and induction are important to the stability and growth of any profession. 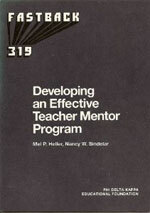 Identifying successful teachers as mentors and role models for new teachers helps new teachers to be more effective in the classroom and remain in the teaching profession longer. After school leaders identify mentors to be paired with new teachers, mentors will be trained in a morning session, share lunch with their mentees and then mentors and new teachers will review year long roles and responsibilities in the afternoon. Defining the roles and responsibilities of mentors. Implementing the roles and responsibilities in their school or district. Observing new teachers and providing feedback. Defining and discussing the roles, responsibilities and the relationships of mentors and new teachers. Inviting the mentor to observe and provide feedback.